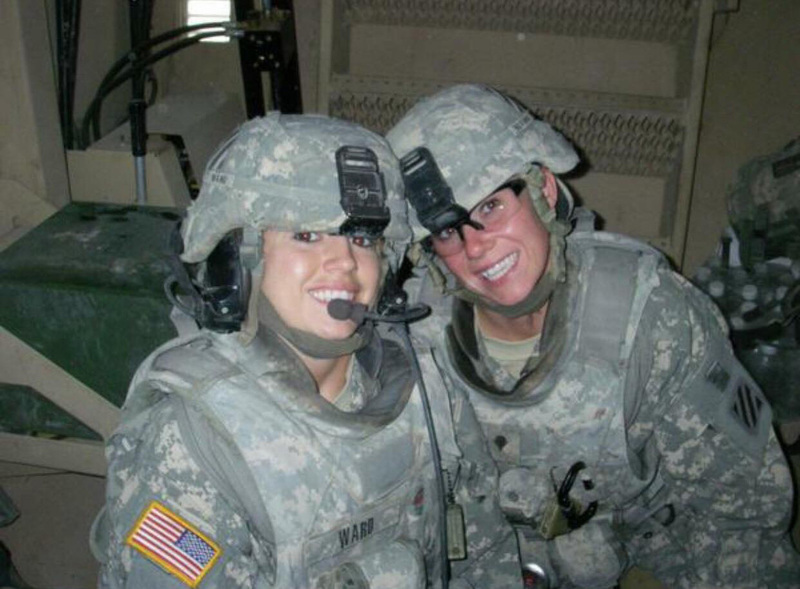 Hope Smith is a veteran U.S. Army medic and student at Drexel University. She has served for about a decade. She is a nursing major in the College of Nursing and Health Professions. This interview has been edited for clarity and style. The Triangle: What inspired you to join the Army right out of high school? Hope Smith: I remember when 9/11 happened. I remember watching it on TV in school. And a guy that I had played basketball with growing up had deployed right before my senior year and he didn’t make it. He was killed in action. Going to his funeral and seeing his honors — it really intrigued me that people were willing to die for someone when they didn’t even know their middle name. I wanted to be the person that could help bring them back to their family. TT: What would you say was the biggest challenge of being an Army medic? HS: Performing. I mean, you go through training and it’s pretty rapid for Army medical school. We get our EMT certification in 10 weeks and we do combat training but nothing can prepare you for the real-life scenario. Applying everything you learned under those types of conditions is insane. TT: How did you handle the high-stress situations? HS: So, they say you don’t know what you can do until you really do it. I did see people choke, but there’s something about being in the field that just kicks in and there’s no better way to say it. I will never forget my first casualty and recognizing spot-on everything that I had trained and prepared for over and over and over again. And it was dead-on-point signs and symptoms. It was slow motion and I just remember thinking “Oh my god, this is real.” Something just clicks and you realize all these people are relying on you, and you’re the one person for all of them — to save their lives in that moment. And you just do. TT: And the aftermath? How do you deal with the psychological impact that that has? HS: I mean, anyone in the medical profession develops a way to compartmentalize. For me, in the war, there wasn’t time to really dwell on it. There’s never going to be an easy way to lose a patient or to undergo those types of circumstances but it’s even worse when it’s someone as close as your friend or your family member, that you’ve trained and been there with. There’s no time to dwell on it since there’s also other people who are relying on you, whereas in a hospital you kind of don’t remember who that person was — they might just be a name on a chart. But in the military, you remember when there’s a seat that’s not filled in the truck when you’re driving. The only thing you can do is remember that they volunteered to do this and I think that’s really important that it’s a volunteer service now. There’s no longer that draft so recognizing that someone was willing to do that for people they don’t know — that’s what really keeps you going and makes you want to save the other members and bring them home to their families. TT: What sort of qualities would you say someone in your position should have? HS: Now, being older and looking back, I’d say you need to be autonomous, have a strong moral character, great critical thinking and be good under pressure. But when I was 18, I had no idea what I was capable of until I did it. They don’t expect you to come in with all these qualities when you’re joining and enlisting. They don’t set these criteria — you don’t know how you’re going to be. They really prepare you for it. The things I’ve learned have made me a better healthcare professional and your seniors in the military help you throughout this whole process too. TT: Looking back, would you make the same choice? HS: A thousand percent yes. A thousand percent. It made me everything that I am. And the things that I’ve done — where would I have done that? A thousand percent. TT: What was it like transitioning from being in the army to being a student? HS: I’m still figuring out that one. It’s different. It’s a culture shock, it absolutely is. I mean the army was my entire adult life; it’s all I’ve ever known. Learning civilian healthcare, learning to not keep that delineation that shows in between a civilian and a serviceman, learning to slow down, learning to see other people’s perspectives — all of these things have been interesting. I’m still learning it. You definitely miss that sense of belonging and security that comes from being in the military — that family. TT: What perspectives have you brought to Drexel based on your Army experience? HS: It made me a phenomenal student. While I hated training while I was going through it, I understood why: because when you’re put in action, you adapt quickly. Now coming here, I’m a good student. Time management is an adult-like skill that you do in the service that absolutely made me better to be here and applying what I’ve learned and what I know and giving it to my peers now — especially the 18-year-olds that are in the nursing program; they’ll never see the things that I saw but sharing my best learning practices is pretty cool. It’s really fulfilling to bring that synergy, to bring that combat and war, to someone who will never experience it. TT: So what advice would you give those 18-year-olds looking to get into health professions? HS: There’s a few, but the main thing is to just soak it up. Soak it up. And trust your training. You trust your training and put in that diligence — study, perform and practice and it will pay off. When you have that moment when that training kicks in, when you’ve done everything that you’ve possibly can to prepare you for that moment, you have to trust that. And that will save lives.